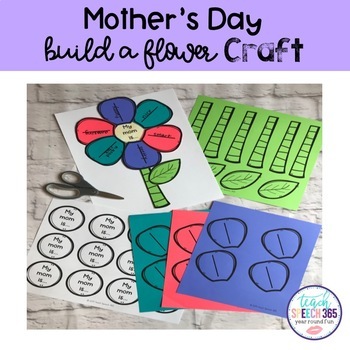 This no prep Mother’s Day craft is a cute, easy craft that your students will have fun making for the mother figure in their lives! Simply print out a copy of pg. 4-6 for each student. You might want to copy the petal page (pg. 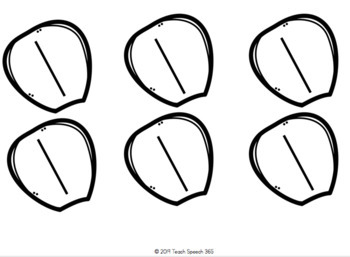 4)onto different colored paper, but your students can also color them in. Each student will need 6 petals to complete the flower. Have them write adjectives or things that describe their moms on each petal. 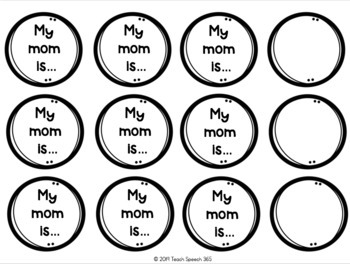 Note: there are blank flower centers to customize for other mother figures (grandmother, aunt, etc.). See an example on the next page!